The key to keeping your saw chain well-maintained. 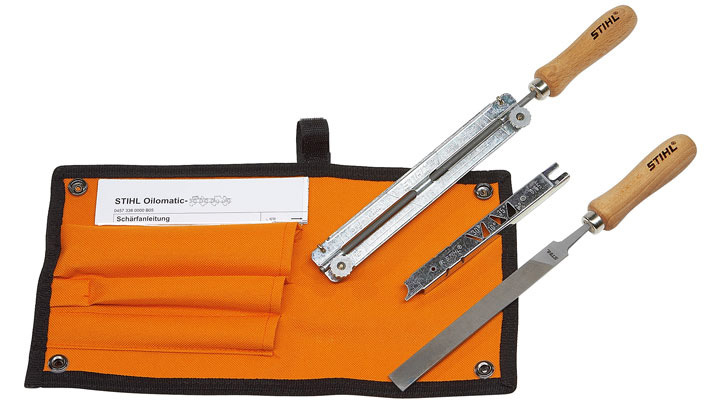 This filing kit includes a file holder with file gauge, round file and flat file, as well as coming complete in a sturdy case. It is suitable for 0.404 inch chains.